It's hard to keep little ones clean in general but when Arts and Crafts time rolls around, a whole new level of messy is in store! 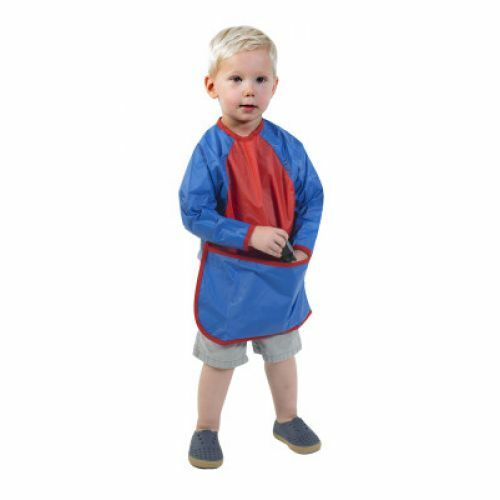 Avoid the grimace from parents with our washable smock! The colorful wipe clean smock is the perfect accessory when little ones dive elbow-deep into the finger paint. Long sleeves provide extra protection during messy play. These brightly decorated smocks create a fun way of staying clean providing less work and more play!